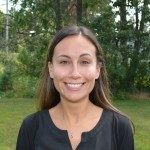 Rebecca Lerol, Town of Knowlton, has been named CAP Services’ new Director of Talent. Lerol is based out of CAP’s Stevens Point corporate headquarters and is responsible for oversight of CAP’s human resources and talent development functions. Lerol’s work experience includes five years in human resource and managerial roles at Pro Staff and Nature’s Pathways in Appleton, and the Bush Foundation and Robert Half International in St. Paul, Minn. Additionally, Lerol has two years’ experience as a bilingual community case worker for Portico Healthnet in St. Paul. Prior to that, she spent a summer in Iowa doing pesticide safety training for migrant farm workers and assisting with migrant farmworker health clinics. Lerol holds a bachelor’s degree in Spanish Language from Iowa State University and studied global environmental health at the graduate level at the University of Minnesota School of Public Health. She is certified in Personal and Workplace Leadership by Fox Valley Technical College. Lerol also served in an elected role on the Basic Needs Giving Partnership with the Community Foundation for the Fox Valley Region, which directs funding to programs aimed at addressing the root causes of poverty in the Fox Valley region.